XSEED announced a release date for Senran Kagura 2: Deep Crimson for the Nintendo 3DS on their Twitter page today; the game will be coming out on September 15 in North America. You can purchase the game digitally on the Nintendo eShop for $39.99, or grab the physical DD edition for $49.99. 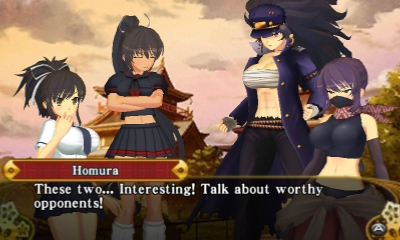 Included in the DD edition is the entirety of the Senran Kagura 2 soundtrack, which contains 60 songs in all. Additionally, XSEED is discounting Senran Kagura Burst, bringing the price down to $19.99, allowing newcomers to get into the series. This sale will be expiring on September 15, so get your first taste of Life and Hometown in quickly. 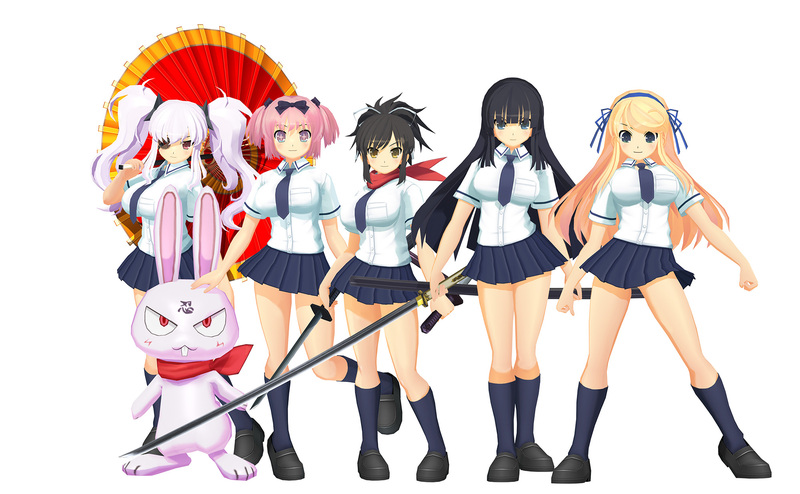 The following is XSEED’s press release with all the details on Senran Kagura 2: Deep Crimson. We’ve got a set of screens to share with you as well. 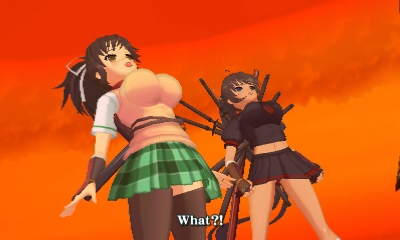 Torrance, Calif. – August 18, 2015 – XSEED Games, the independent-minded console publishing brand of Marvelous USA, Inc., today announced that the highly-anticipated SENRAN KAGURA 2: Deep Crimson has officially gone gold. This latest 2.5D beat-’em-up adventure featuring the naughty-yet-nice SENRAN KAGURA ninja girls is now available for pre-order, and will arrive in North America exclusively for the Nintendo 3DS™ hand-held system on September 15. The game will be available digitally via the Nintendo eShop for $39.99, as well as in a limited “Double D Edition” retail release for a suggested retail price of $49.99, the latter of which includes two music discs containing a total of 60 tracks and representing the game’s entire score. 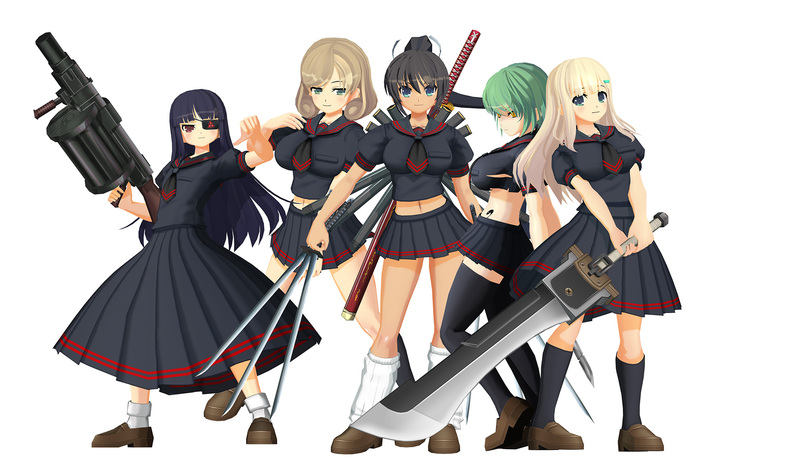 The newly launched product website for this title can be accessed from the SENRAN KAGURA games hub at http://www.hanzonationalacademy.com. Once again showcasing the series′ trademark high-flying, clothes-ripping battle mechanics, SENRAN KAGURA 2: Deep Crimson follows the events of SENRAN KAGURA Burst, sending all 12 of the original cast members on another supernatural martial arts adventure through modern Japan. For the first time in the series, shinobi can fight in pairs, covering each other’s backs and combining special techniques as needed, or fight alone to give their partners time to recover after bouts of intense combat. 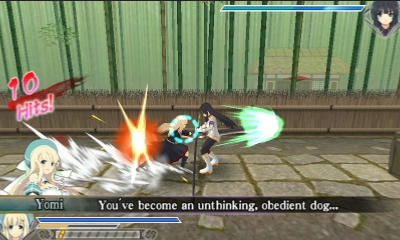 One player can control both team members, switching back and forth at will, or two players can fight side by side in local or online co-op mode. To celebrate this announcement, SENRAN KAGURA Burst will be on sale for $19.99 on the Nintendo eShop (down from the usual $29.99 price) starting today and lasting through September 14th. 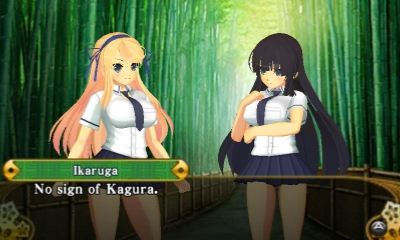 Players who have SENRAN KAGURA Burst save data on their SD card will receive Ikaruga’s brother Murasame as a playable character for free, while players without this save data can still purchase everyone’s favorite incompetent ninja for $4.99 as premium DLC. XSEED Games is also sharing a loaded package of assets, including a brand new trailer and screenshots, to time with this announcement. Developed by Marvelous Inc. and Tamsoft, SENRAN KAGURA 2: Deep Crimson is coming exclusively to Nintendo 3DS in North America. 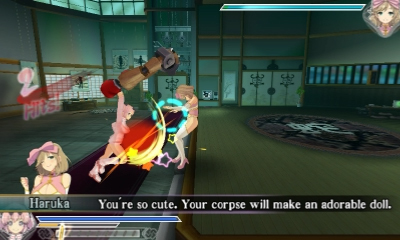 This title has been rated “M” for Mature by the ESRB. Marvelous Europe will be publishing the title in Europe digitally on the Nintendo eShop, and have also unveiled an exclusive pre-order campaign. The publisher is offering various packages, including special limited edition versions, which will be sold exclusively through Marvelous Europe’s dedicated site. 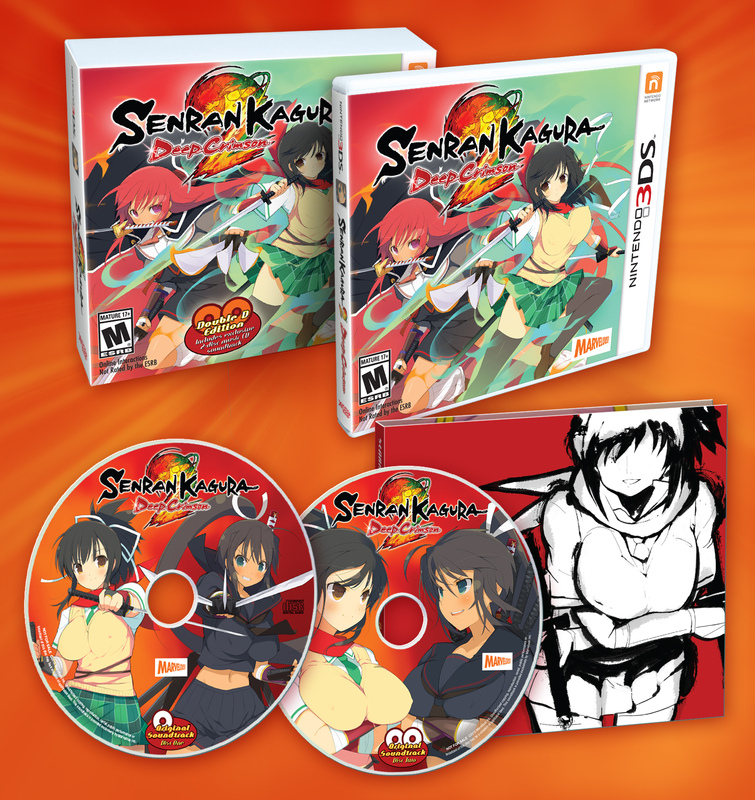 Please visit www.senrankagura2.com for more information on how to pre-order a physical copy for European Nintendo 3DS systems. 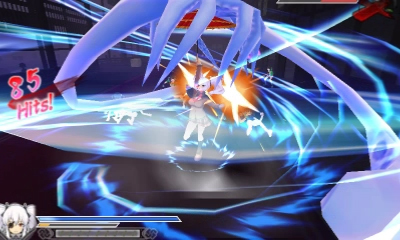 More information on the game can be found from the newly launched product website accessible at www.hanzonationalacademy.com, while more information on XSEED Games products in general can be found at www.xseedgames.com. Fans can also follow XSEED Games on Facebook at www.facebook.com/XSEEDGames and on Twitter at www.twitter.com/XSEEDGames.